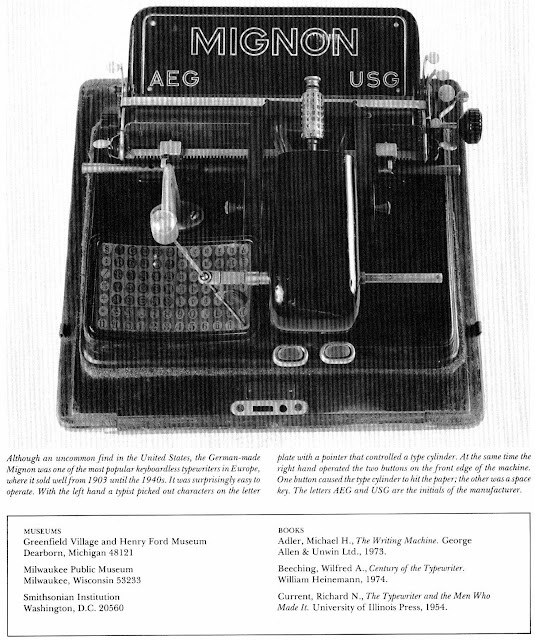 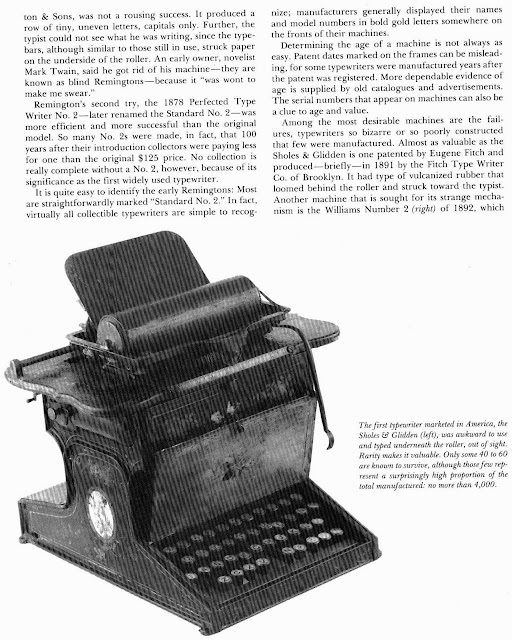 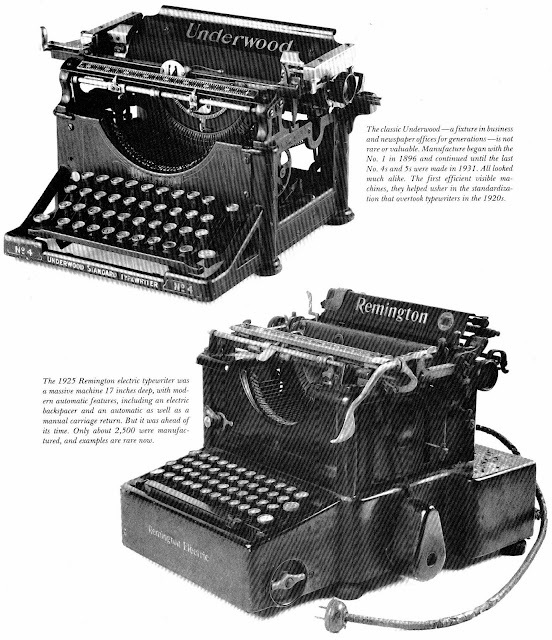 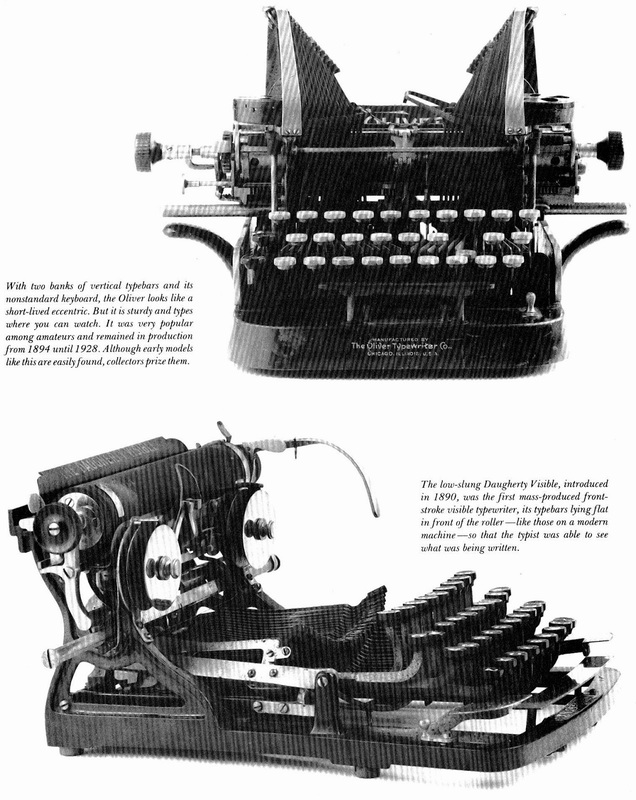 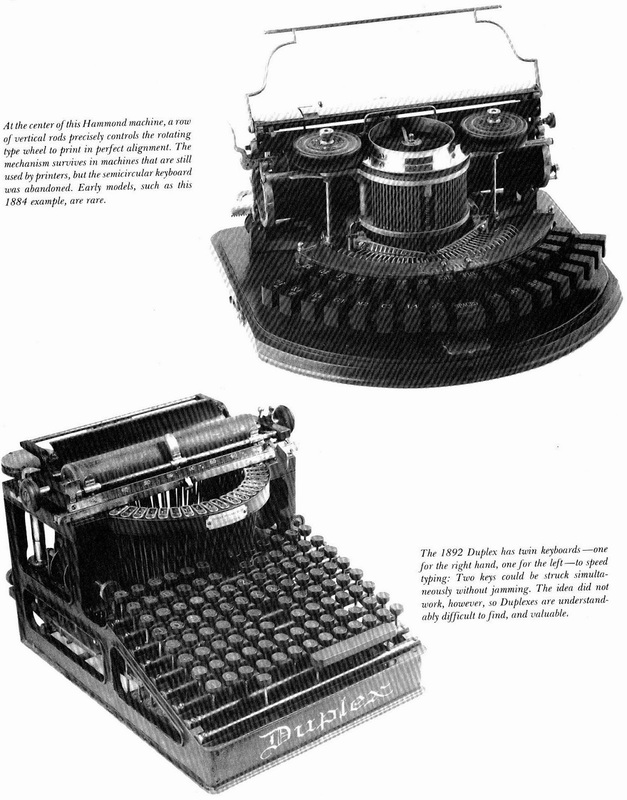 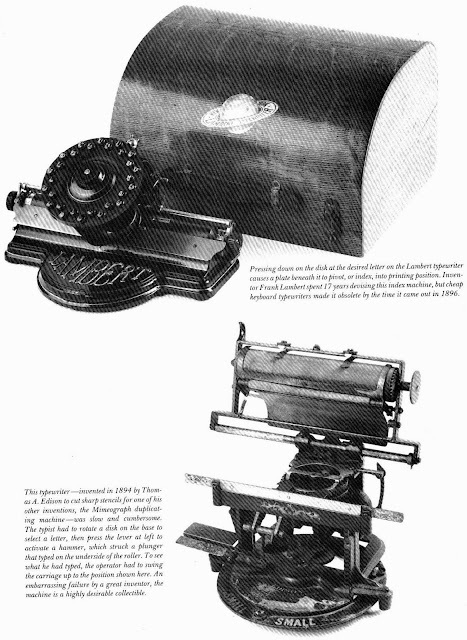 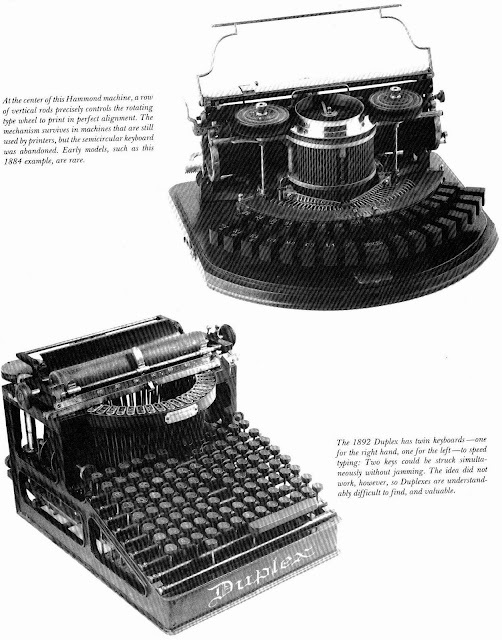 In 1981, Time-Life Books published a revised second printing of The Encyclopedia of Collectibles, leading off with this chapter on Typewriters ("Machines That Write" - gee whiz!). 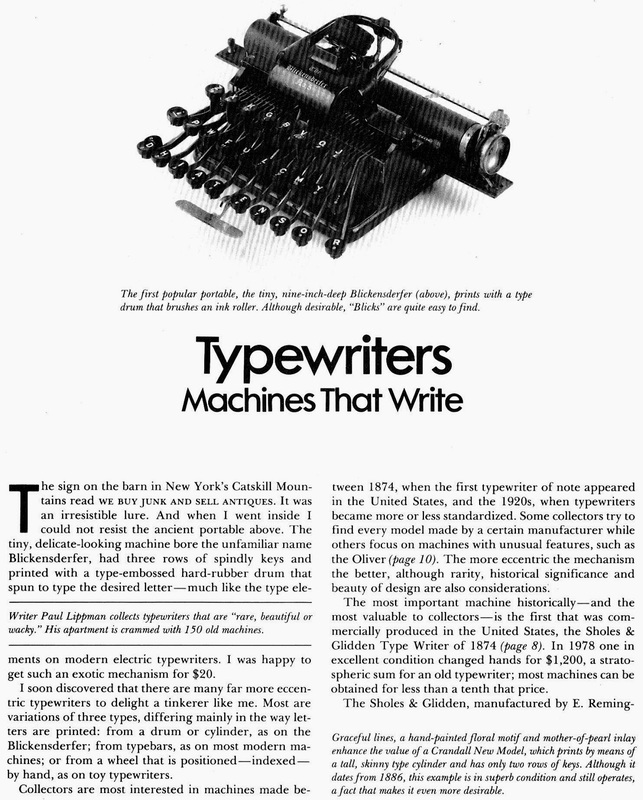 Time-Life does not make it clear who wrote the chapter, although it lists its typewriter consultant as David Golden. 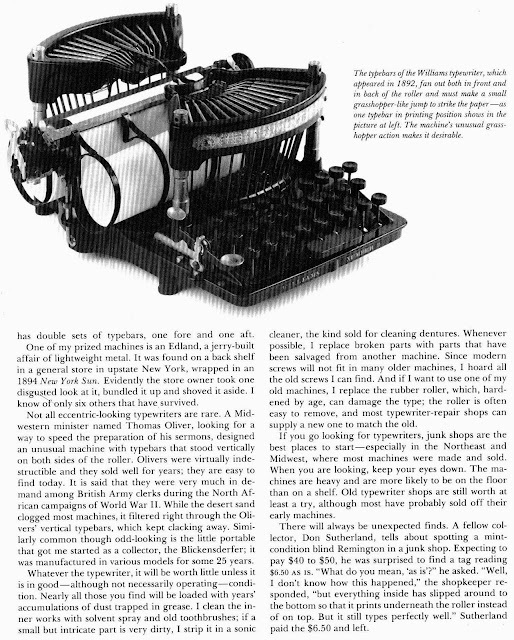 However, the piece is written in the first-person and the page one breakout seems to indicate it was written by the late typewriter collector and historian Paul Lippman, author of the 1991 book American Typewriters: A Collector's Encyclopedia. 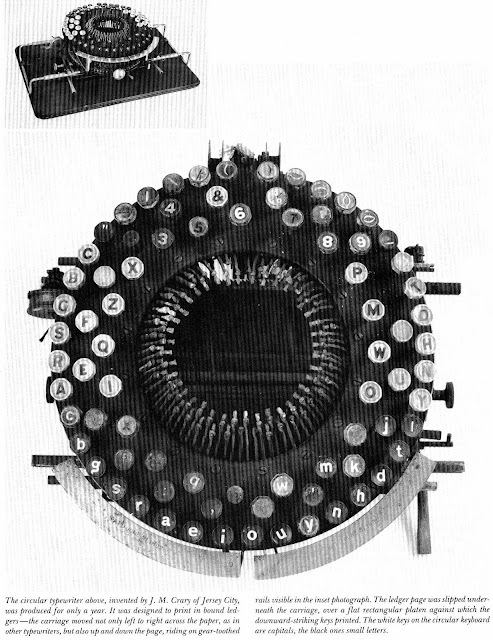 Thank you, very interesting indeed. 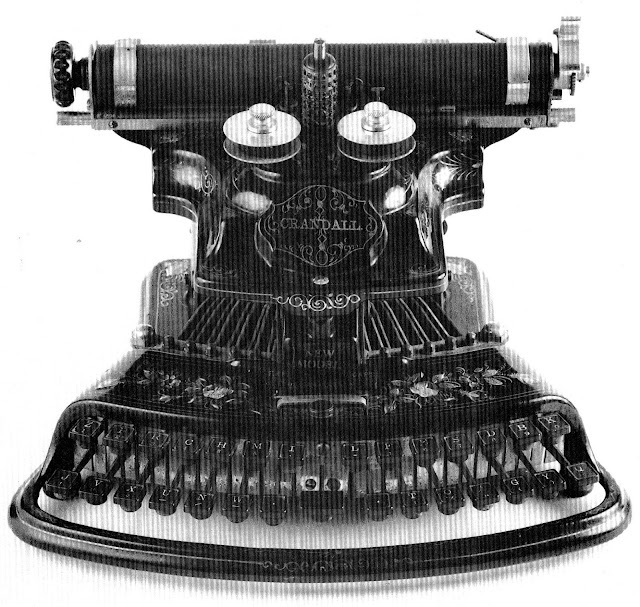 Love that story about Sutherland and the understroke. I'm very sorry I didn't get to meet Lippman. It was his book that removed the scales from my eyes.